Figure 8.4. Select Activate online radio button, enter your license number and password and click Next. Error message is shown if entered password or license number is not correct. Figure 8.5. Confirm you accept the license agreement and click Finish button. 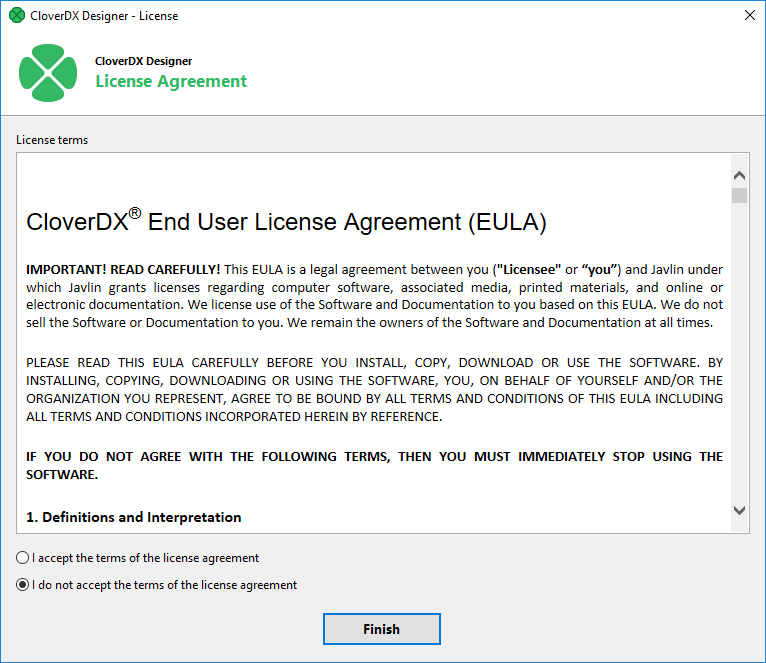 After these steps the information dialog about successful license activation is shown. Confirm dialog by pressing OK button to finish the process of activation. If the proxy server is needed for online activation it can be found in preferences: Window → Preferences → General → Network Connections. Set Active Provider to Manual and fill in proxy host, port and username and password if needed.